In the Know: Helping your third grader read to learn. Expanding my world: reading for information. The West Bloomfield Township Public Library has knowledgeable youth librarians, early childhood specialists, materials, programs and other resources that will help make reading for information meaningful and fun for your third grader. 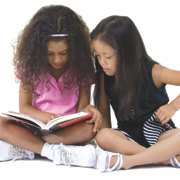 In kindergarten, first and second grades, your child was busy learning basic reading skills. In third grade, school instruction begins to shift from learning to read to reading to learn. This is an exciting new adventure in reading for your child that will last a lifetime.